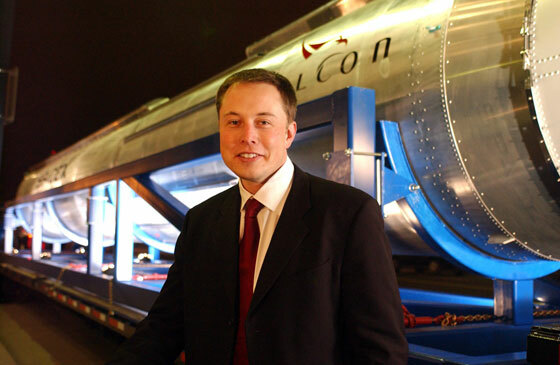 Elon Musk, visionary, hero or deity? Last night, “60 Minutes” kicked off the show with a story entitled “Space X: Entrepreneur’s Race to Space”. The story featured Elon Musk, head of a company called Space X, who the story lauds as a visionary in the field of space travel. Musk envisions his company making regular space flights to the point where it becomes affordable and widespread. He wants the human race to be interplanetary colonizers because it is obvious that the earth on which we currently live is headed for doom. Currently, Musk has a $1.6 billion contract to make regular trips to the international space station. He is the only private contractor to send a spacecraft into orbit and retrieve it. This segment was very similar to the segment 60 Minutes aired last week about Salman Khan. They both tell stories about visionaries with big plans for humankind. Both of these visionaries work out of the private sector. They both hope to transform functions currently handled by moribund government bureaucracies. Both stories tugged at the heart strings, painting their respective stars as selfless servants of the human race. Both stories only made glancing mention of their critics, who were dismissed out of hand as close-minded curmudgeons. Musk has received criticism from Neil Armstrong and Gene Cernan, the first and last men on the moon. Musk was shown towards the end of the segment with tears in his eyes over the fact that his “heroes” have been so dead-set against his visionary company. He cannot understand why they do not see that Space X represents the future of space travel. It would be tough for anyone to see why they would have a problem with Space X if all they had to go on was this 15 minute segment. While space travel is not my area of expertise, it seems that Armstrong and Cernan are concerned about its corporatization. They testified before Congress last year that they believed the Obama administration lacks vision when it comes to the space race. Obama has put the government’s money on private contractors like Space X to make regular space flights to the International Space Station. For two guys who landed on the moon thanks to a massive government investment in science and technology, Obama’s program “destines our nation to become one of second- or even third-rate stature”, in the words of Neil Armstrong. Gutting NASA in favor of privatizing the space program was a trend that started under Bush 43. With all of the celebration of Elon Musk as a visionary, the truth is that the private sector revolves around turning profits. What Armstrong and Cernan are getting at is the problem behind giving space travel over to the marketplace. They come from an era when space travel was a patriotic venture; something American citizens could get behind. Now it is being relegated to the domain of dollars and cents, with all of the corner-cutting that entails. The biggest story of all is how people can still, after the last three decades of corporatocracy, claim that corporatizing a venerable public institution like NASA or the education system is tantamount to “progress”. There is nothing new under the sun here. Rather than a forward step, corporatizing space travel is an outgrowth of the same old worship of the private sector we have seen from both political parties and every major media outlet. What the protests in Greece, the occupations around the United States and the upheaval in the Middle East have shown is that the next generation is crying out for something collective. They have been reared on the ethos of the private, of the bold CEO, of the visionary business leader and they see that it has led nowhere but inequality and repression. Like the media so often does, they have turned the narrative on its head. While thousands of young people around the world are fighting to hold public space and build public institutions, 60 Minutes has shown that they know little more than the same old formulaic “visionary business leader” trope. The youth are already starting to occupy education. Maybe the next occupation should be in outer space. This entry was posted in An Embattled Career, education reform, First Hand: Occupy Wall Street, Parallel Universes and tagged 60 Minutes, economics, Elon Husk, News, Occupy Space, Privatized Space Travel, Salman Khan, Science. Bookmark the permalink.